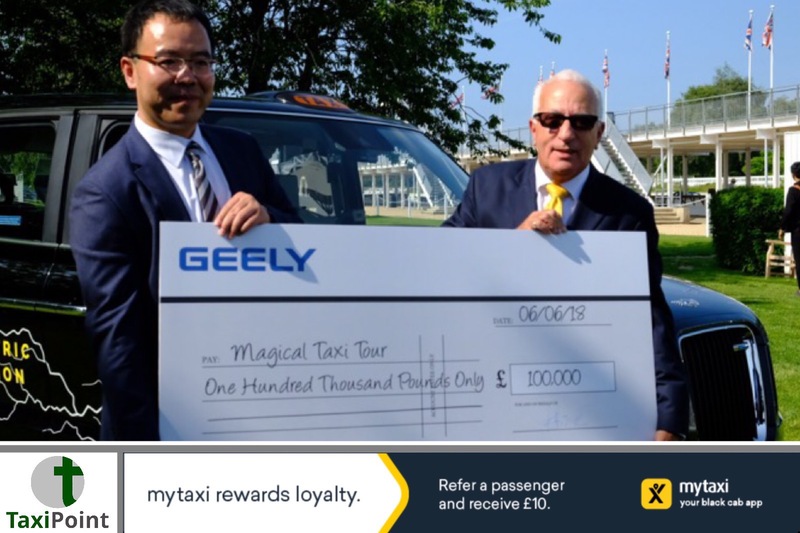 Geely have donated £100,000 to be spent on the Magical Taxi Tour which involves London’s taxis.The biggest ever donation to the Magical Taxi Tour was gratefully received by the Master elect Phil Davis proudly presented by Victor Yang, VP for Communications at Geely.Geely, who own Taxi manufacturers LEVC, will continue their funding of fuel and spending money for the sick and terminally ill children that go on the trip each year. The Magical Taxi Tour is in its 25th year and gives sick children a break from therapy and treatment giving them a three day break in Disneyland Resort Paris.The children are transported in a convoy of London Taxis. The families would not be able to undertake the trip alone as the medical support available during the convoy enables them to do so.